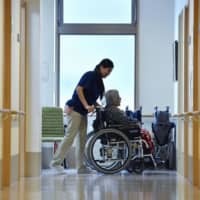 The government plans to set hiring limits for nursing facility operators that bring in foreign workers under one of the country’s two new visa categories, it was learned Tuesday. The plan was included in a draft of the government’s operational guidelines for the new permits that are aimed at bringing in more foreign workers. One of the two visas will be granted to foreign nationals that have certain levels of knowledge or experience, covering 14 industrial sectors, while the other will be given to those with higher skill levels. According to the draft guidelines and related documents, each nursing facility operator must keep the number of foreign nationals it employs through the lower-skilled visa category below that of its regular staff members. 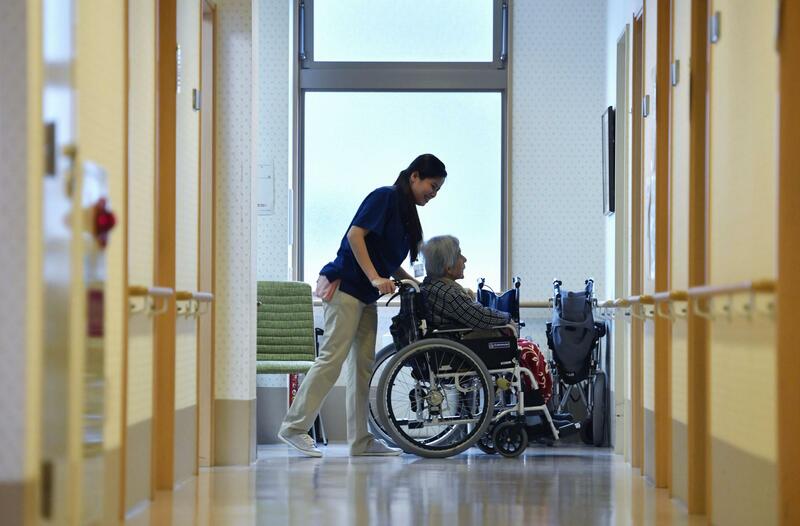 The rule is believed to be aimed at protecting the employment of Japanese caregivers. Such foreign caregivers will be limited to working at nursing facilities and won’t be allowed to engage in home-visit services. Meanwhile, foreign workers who have completed courses to be a certified care worker will be exempted from taking Japanese proficiency and skills tests. In other sectors, requirements for higher-skilled workers include having experience as a group leader for the construction sector and at least two years of experience as a supervisor for the shipbuilding and marine equipment manufacturing industry. In the construction sector, the government will require companies to offer job contracts to foreign workers that include pay hikes according to their skill level, a measure that aims to secure appropriate work conditions for them. As a condition for hiring foreign workers in the agriculture sector under the lower-skilled visa category, the guidelines said that operators must have previously employed workers for an uninterrupted period of at least six months. In the restaurant sector, skills tests will be held in 10 locations nationwide to prevent a concentration of foreign workers in major cities. Technical tests for three of the 14 sectors of the lower-skilled visa category will start in April, while those for applicants of the higher-skilled category will begin in fiscal 2021. Both new and existing skill tests can be utilized for the construction sector, the shipbuilding and marine equipment manufacturing industry, and the automobile maintenance sector. The government has presented the draft guidelines, as well as drafts of a basic cross-industry policy on the new visa categories, to the ruling Liberal Democratic Party and its junior coalition partner Komeito. The government plans to formalize them on Dec. 25.